The holiday season is upon us, so of COURSE Pets on Q had to have a little animal-themed holiday get together! I mean, no one’s season can be complete without seeing a Doodle in a Christmas dress, am I right? 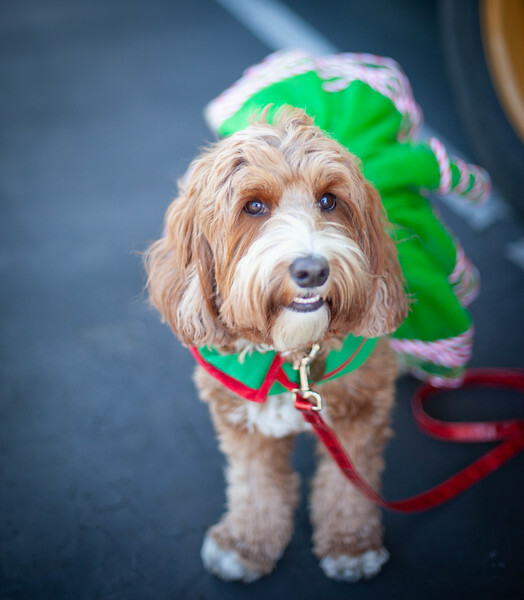 This year’s event was held at the Michelson Found Animals Adopt and Shop in Culver City and it was so much fun! Several local, Insta-Famous pets came out to make merry, along with plenty of non-famous animals (like my own dog), their humans, and even Santa Claus! Yep, the jolly man himself was in attendance, posing for pics with animal and human alike – Santa is a favorite of all creatures. The weather was perfectly sunny, but cool, which is my favorite combo for outdoor events! The dogs all got along swimmingly (even when SunglassCat showed up!) and with a fenced in area to run around in, they even got to get a little energy out! I will say that the tortoise in attendance, Rocket Larry, was seemingly the crowd favorite. Everyone wanted a photo with him, and most of the dogs had no idea what to make of him. Is this thing alive? It smells different than a dog OR a cat, what is it? It’s funny how much the meaning of Christmas has changed for me over the years. Growing up I was, of course, focused on all the presents I would get. Now that I am grown, my focus has shifted to simply being more present. It was amazing to see the joy and happiness spread by these animals and their humans as they got together this Sunday. As I surveyed the gathering, in the moment, I could not help but notice the sheer joy on the faces of animals and humans alike. Even people walking and driving by had to stop and peek in and see just what all these happy, Christmas-y, people and their dogs were up to, it was really awesome! As we consider the past year and go through the motions of these holidays, I think it’s important to reflect on all the wonderful things in our own lives, and how we can give back. Pets on Q chose to partner with Found Animals because of the wonderful work they do to help animals. They have adoptable pets at both locations, and provide services ranging from daycare to microchipping, grooming and even vaccines. They carry wonderful products for purchase, and every dollar you spend in their locations goes towards saving pets. If you are so inclined, please check them out and consider a donation to the cause. We decided to partner with Alex & Ani this holiday season to create a bracelet where 100% of the net profit goes to help save animals. We truly believe that animals deserve to receive back the unconditional love that they give us. Thank you to the Alex and Ani team for donating all the profits from the sale of this bracelet to support animals in need! 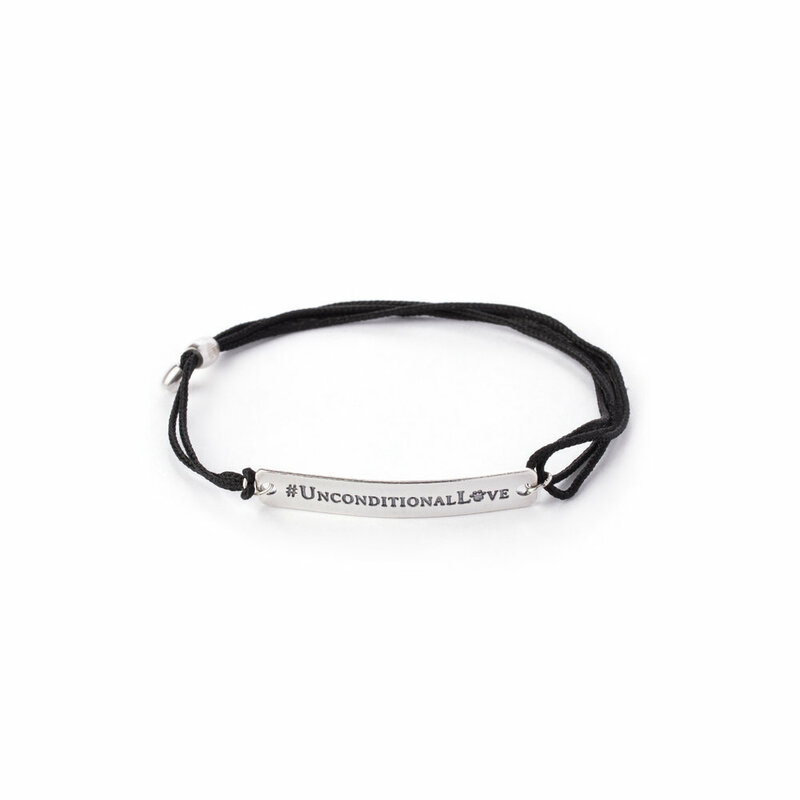 To help support Found Animals, please purchase the bracelet below. At Pets on Q we want to wish you and yours the happiest of holidays! Whether you are near or far, human or pet, famous or not, we hope you are surrounded by love and laughter this time of year, and get to view lots of cute, cuddly Pets on Q content online!